Agent Retention Is Hard. Online Advertising Is Easy. Today’s brokers face an ever-growing list of challenges in agent retention, stemming from the vast number of expanding technologies, competitor recruiting tactics, and growing undercurrent of agent independence. Competing brokers are using an ever-expanding variety of incentives to lure your agents into the seats of their open cubicles. 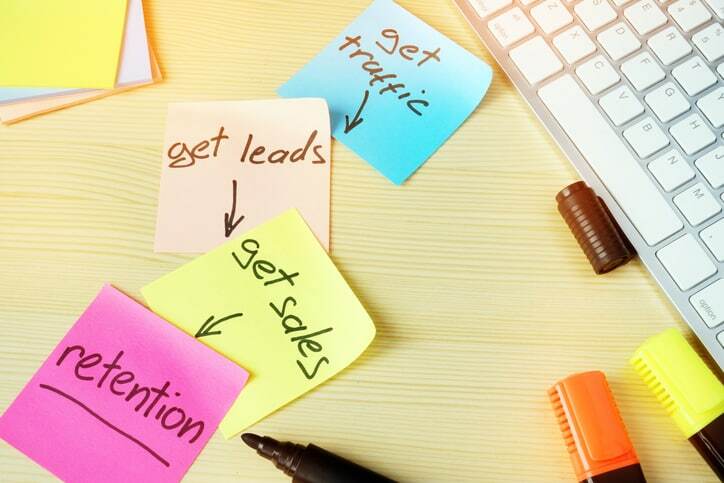 These tactics may include signing bonuses, 100% commission models, free marketing support, sales coaching, and popular CRM and lead generation tools. In this period of hyper-aggressive recruiting and technology-empowered agent independence, what can brokers do to ensure their breadwinners remain at home? There isn’t a single answer to ensuring your best agents stick around, but we at Adwerx have some ideas for brokers to help keep your best agents under your brand. Adwerx’s powerful advertising technology has merits far beyond its success in promoting agent listings and open houses. With the advent of our patent-pending Quick Adder™ product, agents can display ads to their sphere by simply sending an email. Brokers can leverage this sophisticated technology to focus on reaching their own agents. You’ll automatically add the contact to your digital ad campaign that will follow them around on Facebook, hundreds of websites, and in mobile apps. With content that pushes an office’s successes and its benefits to agents, brokers can remind their own agents of the marketing support and brand credibility currently offered to them. Advertising to your own agents is no different than spending money on other forms of agent support, such as CRMs or community philanthropy. Additionally, advertisements with an active recruiting message can entice an existing agent to stay, reassured by the growth strategy of his or her broker. In support of digital advertising, brokers would be wise to commit to defining and nurturing a specific company culture beyond one that champions expert real estate service. Creating a sense of pride around being affiliated with your brokerage acts as a barrier to the constant influx of competitive recruitment messaging. Invent ways to involve all levels of agent and staff in future plans and current challenges. Give everyone from closing coordinators to top producers a stake in what lies ahead for the business. Remind them of their roles and encourage shared success. Remember that company culture becomes your brand when allowed to permeate office walls. Who you want to be internally should be what you espouse in all of your outreach efforts, from digital ad campaigns to bus benches. In time, it will also benefit recruitment. When an agent realizes that there is no dividing line between what they see on the outside and what they find when they walk through the door each morning, retention strategies will begin to occupy less of your time. How to automate seller satisfaction with free digital listing ads.